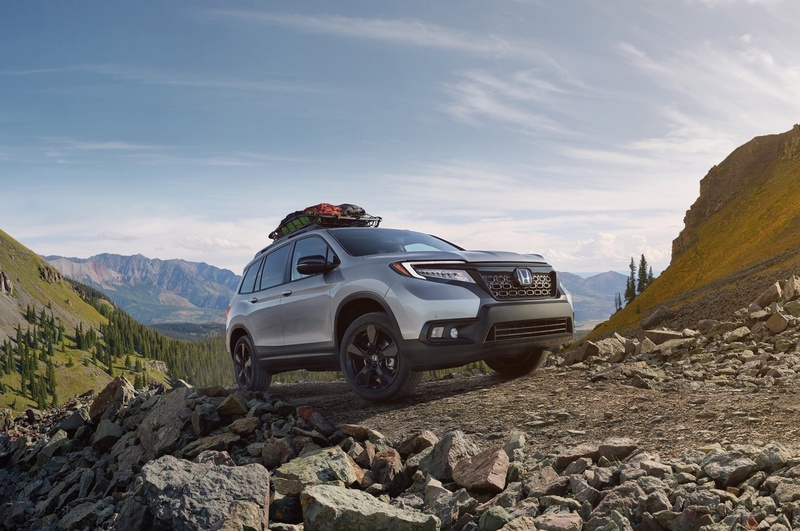 The all-new 2019 Honda Passport 5-passenger V6-powered SUV provides a unique combination of on-road driving refinement and off-road adventure capability along with best-in-class interior space. Canadians will get a first look at the new Passport at the 2019 Montreal International Auto Show. 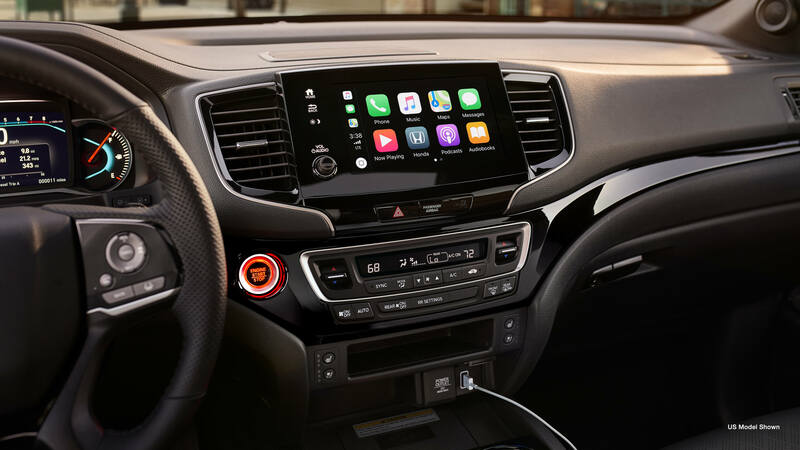 Access your smartphone's music, messages and more with available Apple CarPlay & Andriod Auto intgration, Or find your way while off the grid with the available Honda Satellite-Linked Navigation System. 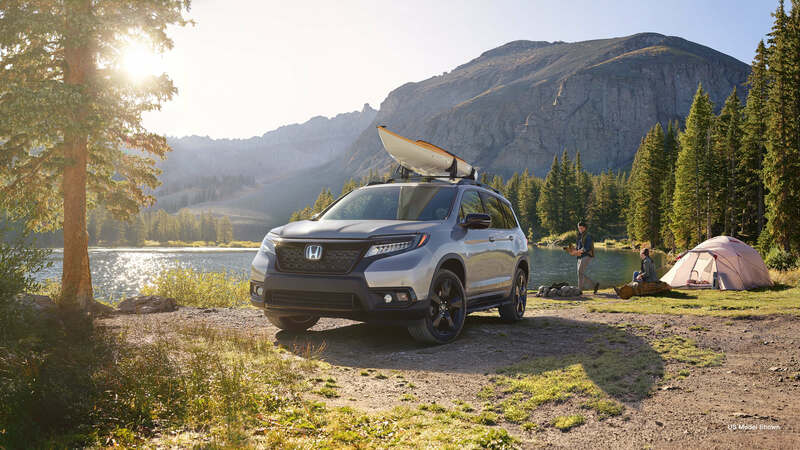 Overcome the elements with ease in the new 2019 Honda Passport. 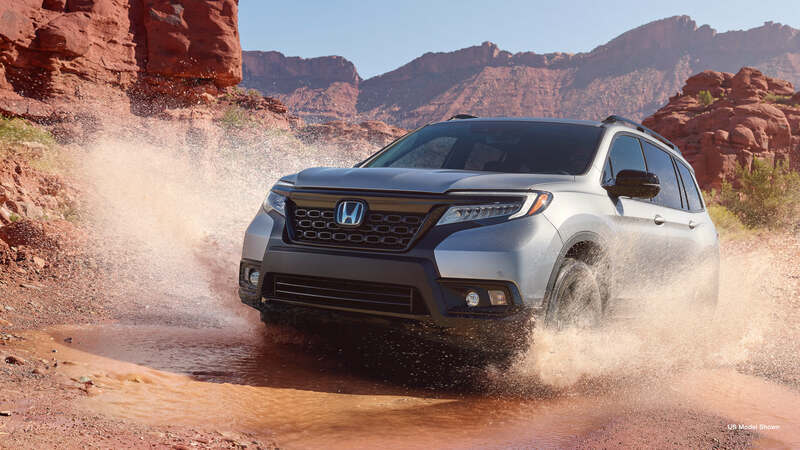 Its i-VTEC V6 engine and available i-VTM4 AWD system help you power through, while its 4-wheel independent suspension and 9-speed transmission off a remarkable smooth drive. Forged for outdoor exploration, the Passport combines athletic design with utility. 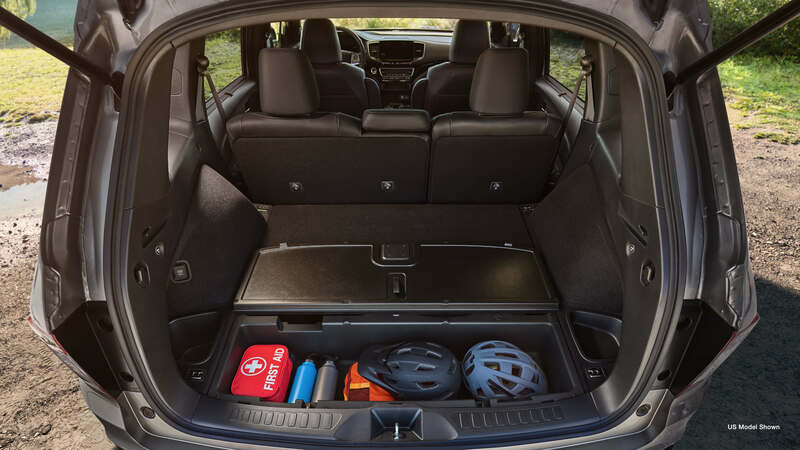 Available gloss-black wheels, roof rails & a wide range of Genuine Honda Accessories help you outfit your Passport for endless journeys. 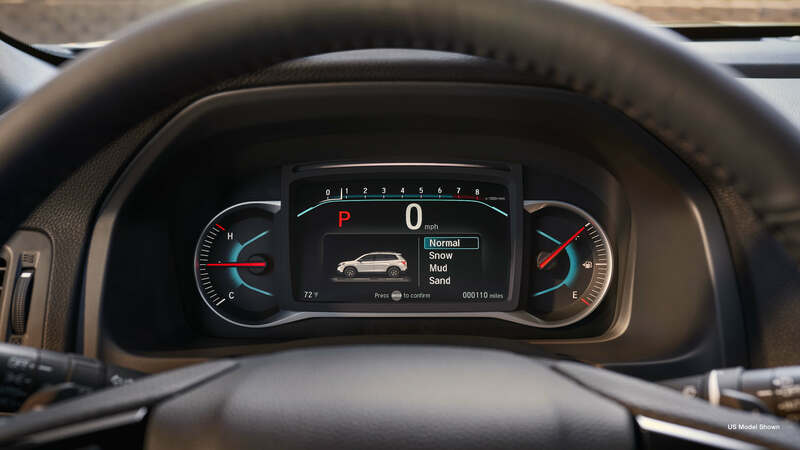 When road conditions change, use the Intelligent Traction Management System to change modes. All Passport trims include Snow mode; with available AWD, you also get Mud & Sand modes. Every adventurer needs a co-pilot. 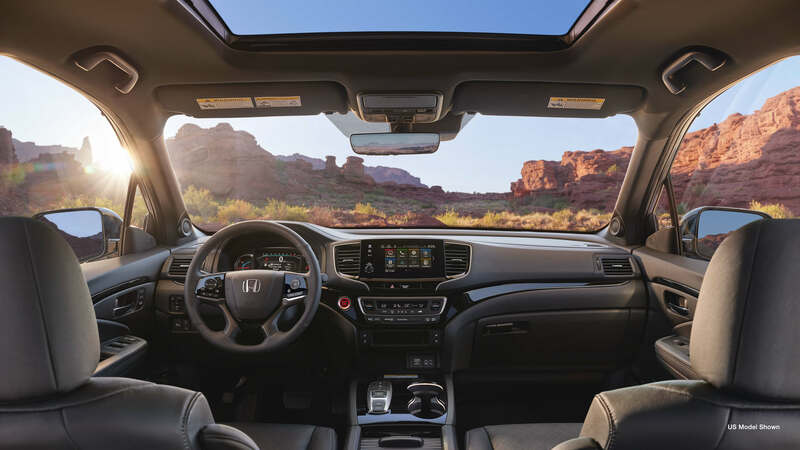 With the Passport’s Display Audio System1 equipped with the available Honda Satellite-Linked Navigation System,™1,2 as well as a bounty of available HondaLink™1,3,4 features, we’re on your side while you go. And because unplugging can sometimes have an expiry date, the Passport features available wireless charging. Want more? 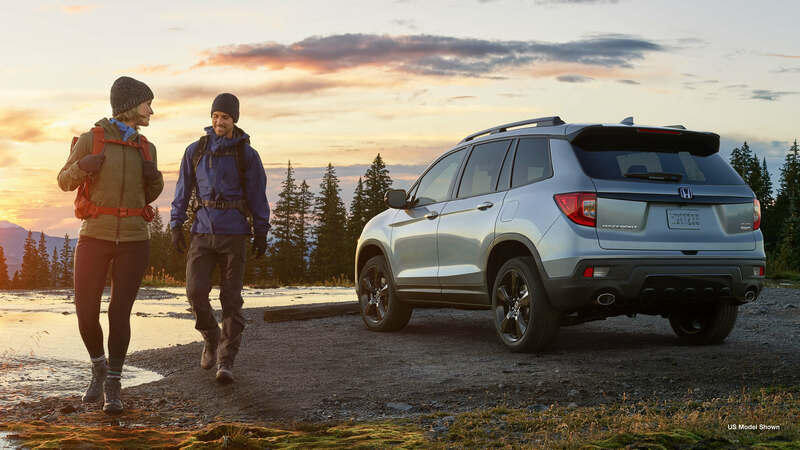 The Passport’s CabinControl™ app1,3 and all-new infotainment system with volume knob ensures you’ll be in tune with both nature and your passengers.